While the rest of the class was working in a writers workshop, she handed the student an iPad and told him to try and experiment with its speech-to-text feature. With minimal expectations, Redford figured that the newness and the boy’s curiosity would at least keep him busy during writing time, which he usually found frustrating. While Redford described the boy as “very bright,” he “couldn’t even compose a sentence to save his life" because of his dyslexia. Any classroom assignment having to do with writing made him moody. So, as Redford guided the rest of the class through the workshop, the student stepped outside the classroom and spoke his ideas for his writing assignment into the iPad. At first, it was difficult. Redford said earlier versions of voice-to-text had a hard time picking up the sounds of young male voices, and some of his sentences ended up translating into hilarious results. But the student, who soon began a quest for Siri to understand him, asked Redford if he could keep trying. Before long, he was completing all his writing assignments through the iPad, and showing the other dyslexic students in his class how to use it, too. Redford herself has a grown dyslexic son, Dylan, and has been a fierce champion of dyslexia awareness for more than two decades -- a journey she speaks about candidly in the HBO documentary "The Big Picture: Rethinking Dyslexia." The documentary was made with the Yale Center for Dyslexia and Creativity, where Redford serves as education editor, and it was directed by her husband, James Redford. Kyle Redford said there is no doubt that technology has changed the lives of those who struggle to read and write, and that educators should embrace the changes. In articles for the Yale Center, she outlines in detail how to help struggling readers with classroom assignments -- many with the aid of technology -- and in one piece she even says good riddance to mandatory cursive. For dyslexics, a keyboard and spellcheck allow them to express their ideas without such monumental effort. School psychologist and dyslexia expert Martha Youman often gives ideas and suggestions for how teachers at her middle school can make accommodations to dyslexic students using technology. But in order for teachers to really embrace how tech can help their students with learning differences, Youman said schools must let go of expectations that each student is going to get to the same place in the same way. She said resistance often comes from a misunderstanding that it's somehow "cheating" when dyslexics use technology as an aid. But thinking of accommodations as cheating highlights a fundamental misconception about dyslexic students and schoolwork: Most dyslexic students don’t have a problem understanding information; their issues lie with getting information through reading or sharing information through writing. It's why, as Redford said, technologies that allow dyslexic students to record classes and speak essays into tablets may be the biggest game changers of all. 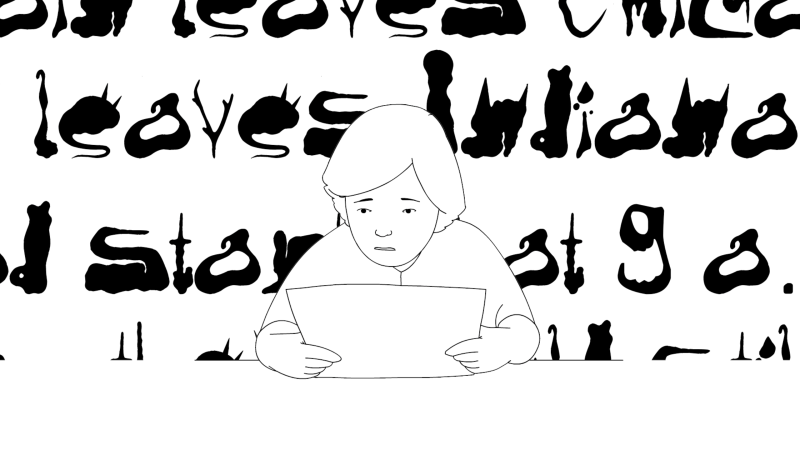 Part of what makes dyslexia such a challenge is that, even with years of intervention and tutoring, reading and writing may continue to be a lifelong struggle because of the dyslexic brain’s unique setup. Even more than 30 years ago, when the Strategic Alternative Learning Techniques Center (SALT) at the University of Arizona was founded to support those with learning and attention differences through college, founder Eleanor Harner’s first hire was an educational technology specialist. Rudy Molina, current director and former student at the SALT Center, said even then Harner understood that computer technology would bridge the gap for struggling college students. “The spirit behind hiring the technical specialist first was that technology can help students learn,” Molina said. “The conversation hasn’t changed much in how it’s used, but the sheer number of technologies for dyslexics has grown.” The current tech team at SALT sifts through all the latest apps and gadgets to help students determine which option is best for them to use. College students with learning differences flock to SALT, a full-service student support center that served 600 students the last school year, with an 80-student waitlist. Molina said that while most think of SALT as a tutoring center, what it actually provides is much more comprehensive: In addition to tutoring, specialists help college students with educational planning, organization and managing their technology. Today’s college students not only have to worry about their studies, but their online life, too — which is where most college interactions take place. “One good example is CatMail,” Molina said, referring to the university’s official email program. “You’d be amazed at how many -- hundreds of emails coming in for each student. It’s overwhelming,” especially for students who take much longer to read. Strategic learning specialists help students organize their inboxes, tagging and color-coding emails not to be missed, especially from professors. And technology for note-taking, Molina said, is critical because it’s probably the most used skill on campus. Students with legible writing use LiveScribe Smartpen, a small computer located inside a pen that records and saves what students hear while taking notes as well as what they write into a notebook. Students can go back to any place in their written notes and tap on it, and the Smartpen will play the notes that were being said at that moment. For students like him whose handwriting wasn't legible, Molina said, simple digital audio recording worked just as well. Apps like Dragon Dictation or Google’s VoiceNote allow students to record their voices and turn their speech into text. This helps dyslexic students who have trouble with writing to compose essays or compositions. According to Mary Beth Foster, educational technology coordinator at the SALT Center, the Kurzweil software, with study skills features and Texthelp Read and Write, are "phenomenal." "Students can highlight different colors, add sticky and voice notes, and extract all the notes and highlights into a separate study guide," she said. "Files can also be exported into sound files like mp3." This Amazon app allows readers to switch between reading and listening to a book. For those whose slow reading can be exhausting, they can switch to audio to listen for a while. Amazon’s Immersion Reading and VOICEText by Learning Ally both allow readers to read and listen to a story at the same time. Each comes with a highlighted text feature that helps dyslexic students follow along, allowing them to read books at the level of their peers. A special computerized pen that allows students to record what’s being said, as well as what they’re writing. They can tap the pen on any written note to replay what was said while they were writing. With its handy lists of confusable words and context-sensitive help text, these mini-electronic dictionaries also offer spellcheck, print and cursive options for words, and an arithmetic tutor. Foster also said that many students are surprised to learn that there are free options already on their computers to help with reading and writing. For Windows, students add "Speak" to the Customized Access Toolbar; for Mac, choose "Dictation and Speech" in System Preferences. And for Google Docs, search for "Voice Typing," available in a Chrome browser. Update: If there are tools missing from this list, please add them in the comments section. We'd love to hear about others! *Note: A previous version of this post named this category as "Text-to-Speech". We regret this error.